There's a story behind what we do and why we do it. Beer is at the heart of everything we believe in. Like us, it's real, it's forged from a vision based on passion, it's bought to you by friends and, most importantly, it creates memories. Discover more, click below. You've got questions, and we've got answers. Your event is unique, and will be treated as such. You'll receive a bespoke menu, a tailored quote and all the help we can give you. Click the button below for quick answers to quick questions! We understand that your event will be as individual as you are. However, to get a feel for the Private, Corporate and Commercial events we cater for please click below. 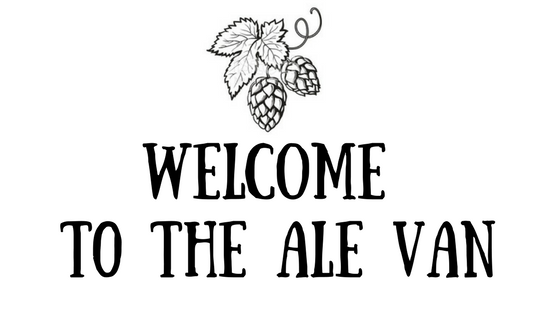 So, you're ready to introduce your guests to The Ale Van, then it's time to get in touch! We're a friendly bunch, and we're ready to answer your questions. Whether it's prices, menus, licensing, or you've lost your keys, click below to say hello! Anyone can drink beer, but it takes intelligence to enjoy beer. We're based in Buckinghamshire, although we operate throughout the whole of the UK. It's a part of the world that allows us to immerse ourselves in the brewing industry and its culture. Before adding anything new to our menu, we ensure we've visited the brewery, distillery or vineyard, met the person in charge and, most importantly, are confident that we're serving the very best product to our customers.